This year we broke new ground. A collaboration with leading academics in the field of trust and reputation, including Professor Daniel Diermeier of the University of Chicago, resulted in considerable progress in our understanding of what makes trust such a powerful asset for organizations, how to measure it accurately and how to demonstrate the true value it brings. 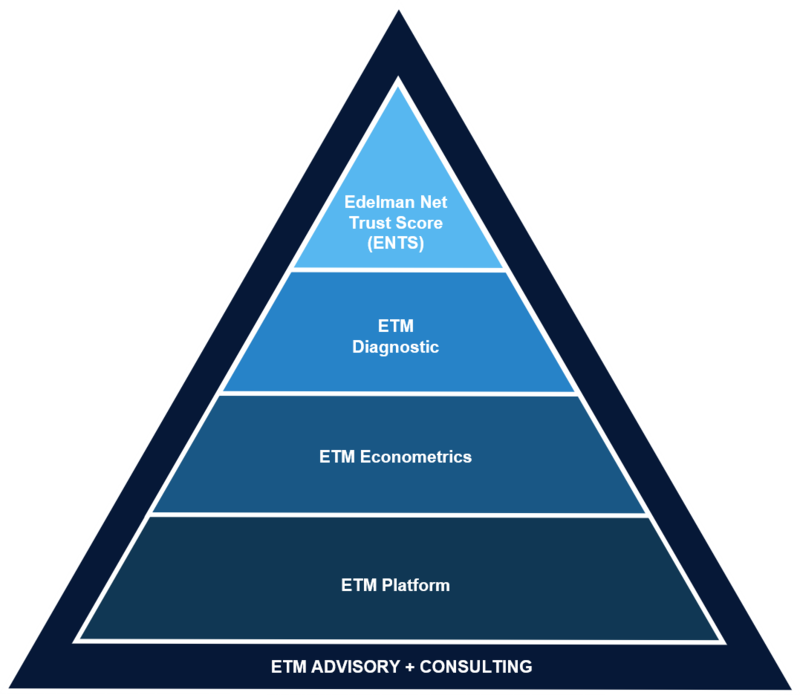 Edelman Trust Management is a suite of powerful, flexible analytical tools and consulting services that help a business or organization best manage its trust capital among its audiences, stakeholders and shareholders. Contact us for more information about the Edelman Trust Barometer and Edelman Trust Management. March 5, 2019 data correction: A previous version of this report incorrectly represented the data associated with the global 26 average on slide 43 and France on slide 48. The numbers reflected have been updated.